Clean the intake manifold mating surfaces. Inspect the intake manifold (2) for damage. Inspect the intake manifold for cracks near metallic inserts. 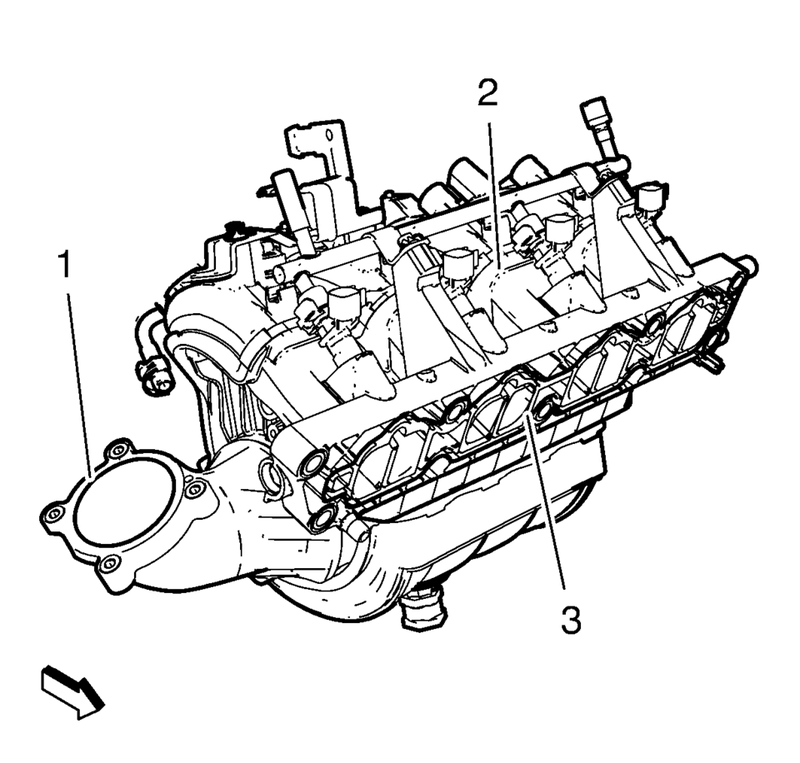 Inspect the crankcase ventilation passages in the intake manifold face for blockage. Clean the crankcase ventilation passages with compressed air if necessary. Use a maximum of 172 kPa (25 psi) of air pressure. Clean the throttle body sealing surface (1). Clean the intake manifold to cylinder head sealing surface (3). Replace the intake manifold as necessary.